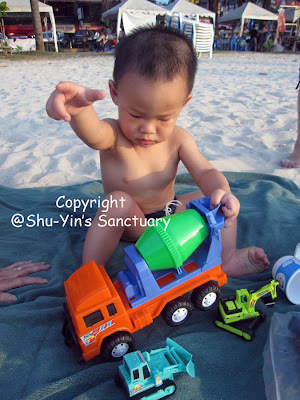 We took him to the beach in Phuket. It was his first time to the beach. And guess what? Shern hates the sand. He hates the sand which got all sticky on his feet. He whined to ask me to wipe the sand off his feet the whole time. 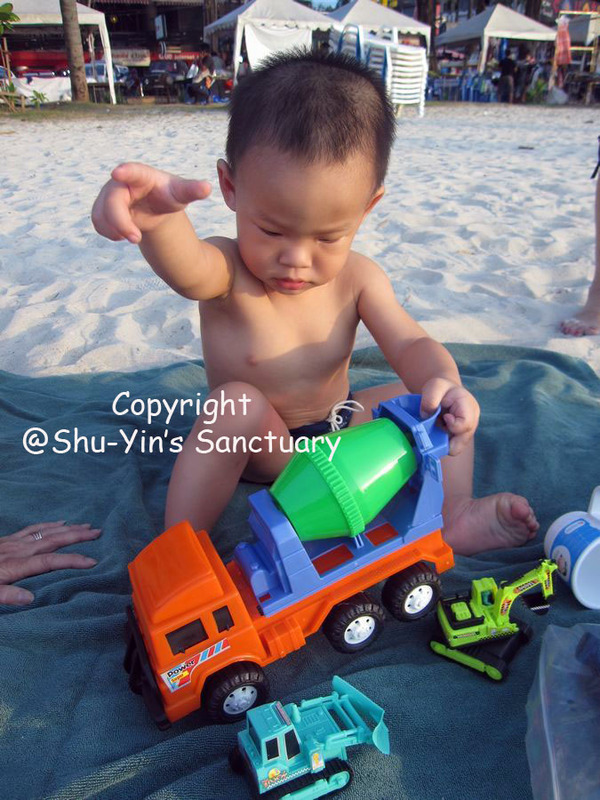 And when I tried putting him down the beach on the sandy area, he folded his legs and refused to touch the ground. Arrgghhhh!!!!! So he got cranky after awhile and we had to leave because he was whining non-stop then. So now my next mission is....how to get him to like the sand? How come ar? I think Shern doesnt like the sand texture on his feet/hands.